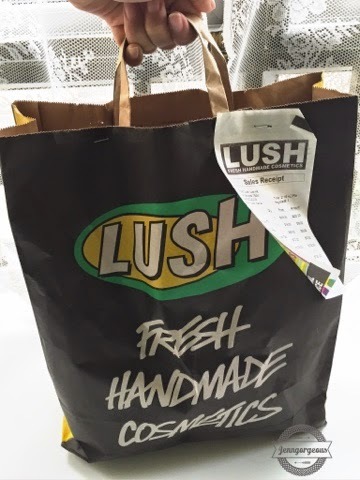 This is the Lush recycled shopping bag. I spent Hk$705 and bought Mother's day Tin set, Pot O' Gold, Dream Steam Steamer Tab, Golden Egg, and a Bunch of carrots. 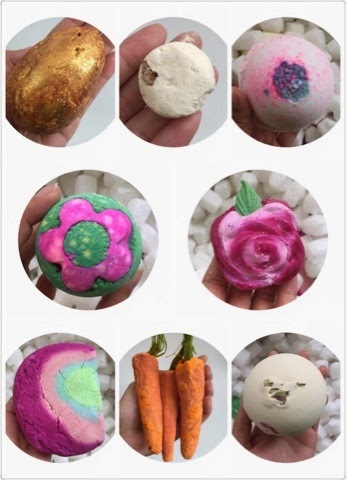 If you wish to get all these babies individually, you can purchase through the Singapore lush website. 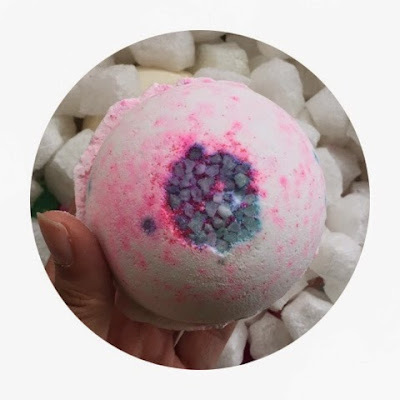 The Mother's day tin is out of stock, but you can get the bath bomb individually. A single item is pack in this recycle paper bag with a label instruction. This is the Golden Egg bath bomb melt, I think this is the Easter limited edition item. I'm keeping it until my birthday. 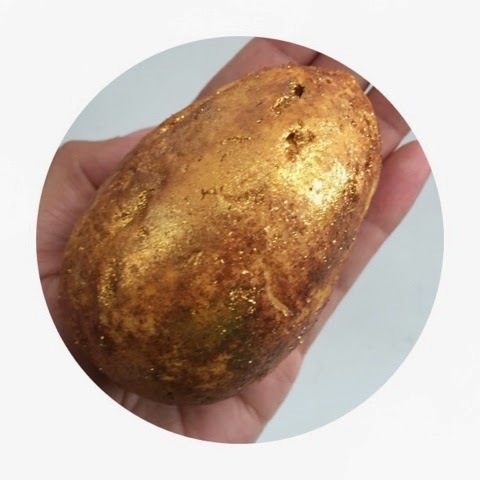 Put this in your bathtub fill with warm water and enjoy the honey toffee fragrance, it moisturised skin and cover you up with gold glitters too. This is the Dream Steam, this little thing can soothe your sensitive skin. Basically you use it for face steamer, pour hot water in a medium size bowl and put it in. Then drape a towel over your head and enjoy the steam until the tab finish frizzing. You can keep the water in a spray bottle and keep it refrigerated and use it as a toner for up to two days. It is selling for HK$70. This is a bunch of carrot, it had fruity, blackcurrant scent. I really think that this is so freaking cute! 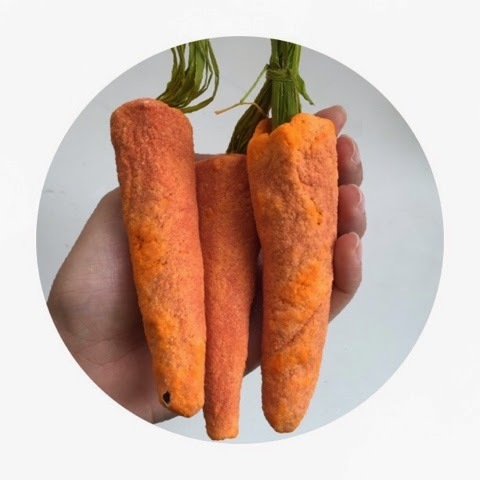 This bunch of carrot can be use up to 7 times. It is selling for HK$105. 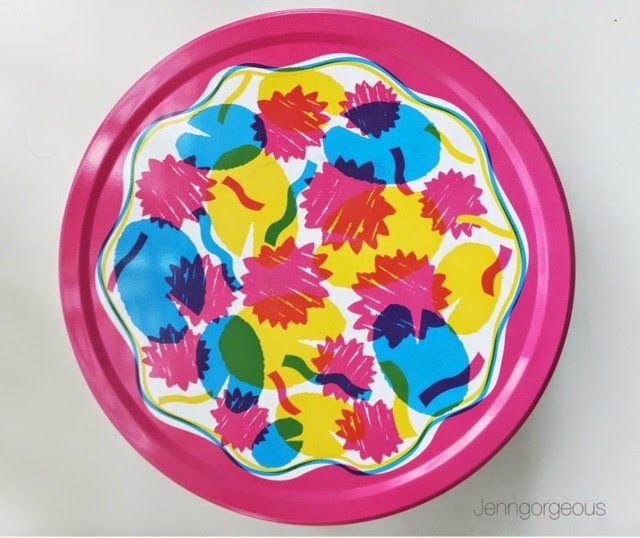 This is the Mother's Day Tin - Forget her not! It is a special gift set includes Rose bubble bar, secret garden bath bomb, ultraviolet bubble bar, sakura bath bomb, and Rose bombshell bath bomb. It is selling for HK$405. Rose Bubble Bar What a beautiful rose bubble bar, you can use it twice with breaking into half. 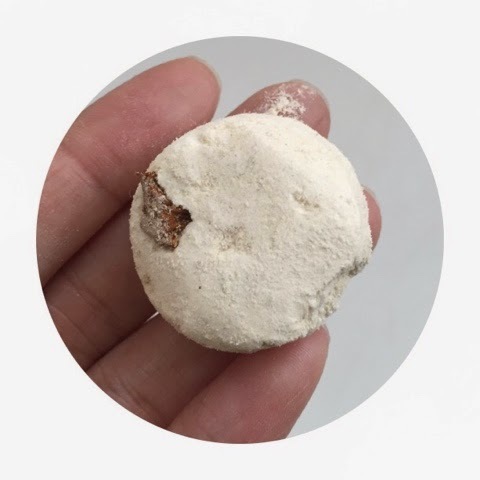 It can soften and soothe your skin. It has fresh lemon and rose scent. 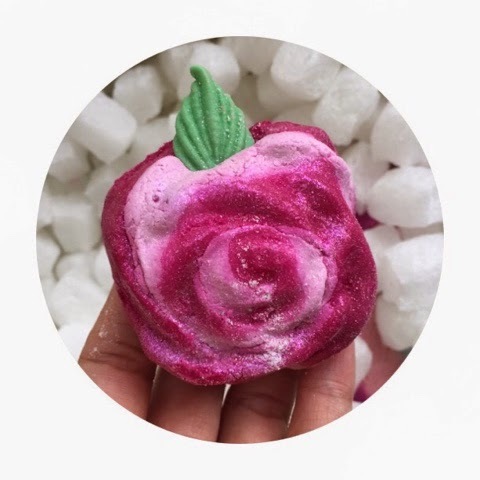 Secret Garden Bath Bomb I was told that this will bloom in the tub and releasing rose and sweet wild orange oil scent. 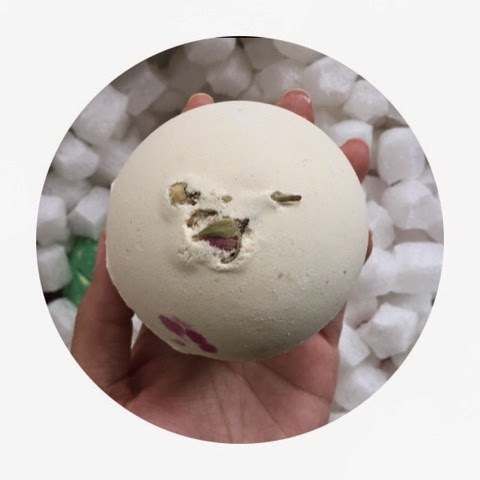 It contain flower petals inside it, so you'll see flower petals floating in your tub. 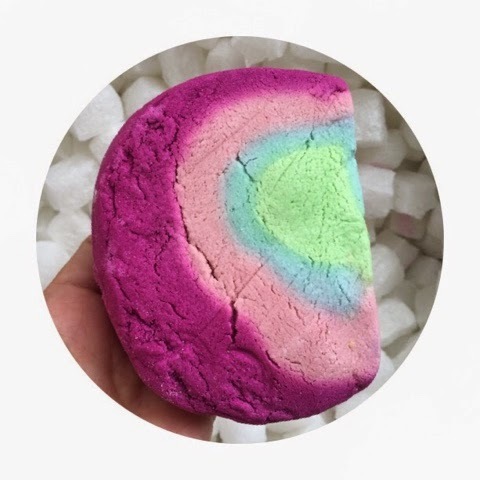 Ultraviolet Bubble Bar This has a violet, yang ylang and jasmine scent, can't wait to bath in purple water tub. Sakura Bath Bomb It has a mimosa, jasmine and citrus scented inspired japanese cherry blossom. It is made from soya milk powder, orange flower and rosewood and turkish rose oils. I'm expecting to come out from my bath like a goddess. 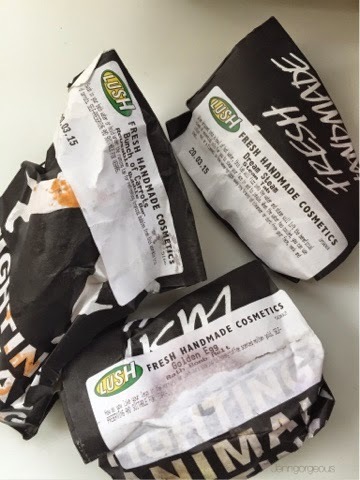 Have you tried Lush product before? 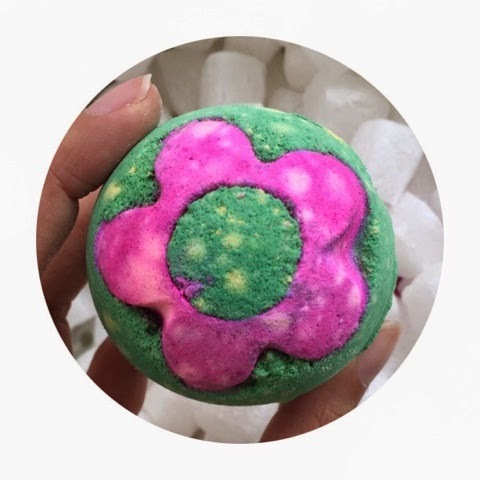 Which lush product is your favourite ? Share with me in the comment box down below.